A lot of people invest in a new build home so that they are ensured that they are in control of what is going on and so that they can build and design their property as they please. 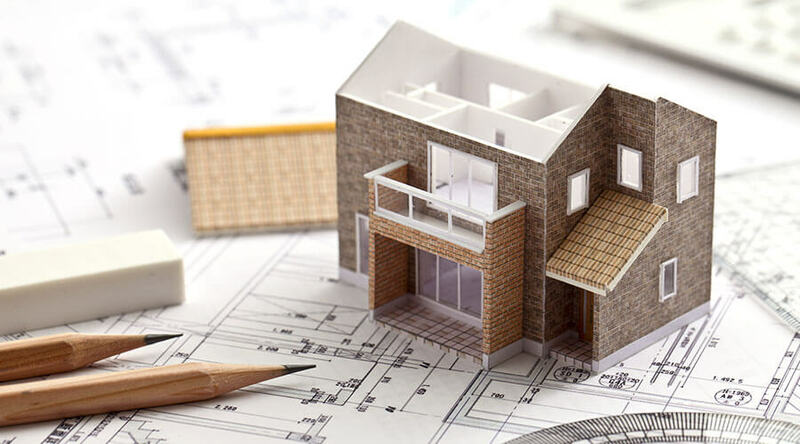 A new build home is when you have a property built to your instructions and specific designs, a lot of people buy large plots of land and simply build on top so that they do not have to go through the process of receiving planning permission, etc. However, not everybody invests in a new build home for themselves a lot of people who buy homes to rent out, and home designers pay to have a new home built but then instead of moving in the put it straight of the market. Although if you did this, you might be slightly out of pocket at first but gradually over time you will build up and end up profitable in the end – a lot of people use rent money from their tenants to pay off chunks of their mortgage. So why should you invest in a new build home? What benefits can it bring to you and your family? Keep reading to find out! When you’re building an entire residence then, of course, the choice is going to be up to you – especially when placed on your own plot of land you can expand and go as big as you like! You have a lot of exciting decisions to make, what shape rooms you want, do you want your bedroom to be larger than every room in the house? Do you want a family orientated room perhaps include a family room with a TV for regular movie nights with the family all together, or are you opting for a fresh, stylish pad with a man cave and personalised touches? A pool room? The opportunities are endless which is what makes building your own house so fantastic. You also do not have the hassle of those post decorative chores such as wall stripping and taking carpets up. A lot of modern day technology is unbelievably clever, meaning with new build homes in Newport Pagnell you are most likely going to contain the most latest high-end security and burglar systems to keep yourself and your family as safe as possible. And if your builders do not offer you the latest security systems, then the power is in your hands to enquire and make a final decision on your home security system. Like mentioned before a lot of people invest in this construction process to situate them in a good place on the property ladder. Some people are not able to afford to put down a deposit for a home and have a mortgage, so the alternative available to them is rented properties. Rent is when you charge a certain amount of money a month to your tenants for them to live in your home – however, you must be aware that when taking up this responsibility there are a lot of things that you as a landlord will be accountable for should anything happen. As a quick overview if you were interested in becoming an owner of a property you must ensure that all smoke alarms are in working order, you must also hire an electrician Milton Keynes to make sure that the home is safe and habitable by carryng out tasks such as electrical testing and electrical inspections. Due to all the updated technology and electricals that go into building a new house, all of your wiring and boilers, etc. are going to be completely up to date and all in working order. Not only this but new build homes are built with certain guidelines to make them environmentally friendly and can prevent up to 70% LESS greenhouse gases or harmful fumes than older ageing homes. By having newly updated and professionally checked equipment within your home, this means it is more reliable, and not only this, but you are also using less energy with fully working products that will not only save you time but also money. When you first buy a house, you usually have to wait for the owners of the property to find a home to live in before you can even begin to think about moving in. Once you have put the deposit down and made it definite that you are building your home, then you will be given a completion date. This enables you to not only guarantee that you will have your home to move into, but you can also start planning before hand and have the opportunity to discard any old unwanted belongings before you move out and to free up storage space. Research to the area and identify old and new build homes. If you need an extra hand, then you should seek a mortgage advisor company and find a suitable repayable amount of money to borrow. Visit the home or if you cannot find one, visit a show room and find your ideal property and pay the deposit fee to secure your home. Arrange a mortgage and have the home valued. Sign the contracts and pay over your deposit. You could have a snagging survey conducted at your new residence just to double check everything is in safe working order and to avoid any surprise costs. Agree on a move in date and move into your new property. So there you have it, all the benefits of either building your own new build home or purchasing an already built one and the responsibilities that you have when investing in one. If you are interested in a new build home but aren’t sure, then remember there are other options! Our builders Milton Keynes specialise in a variety of specialist services that can help you find the perfect home extension in Milton Keynes to create your ideal residence. We hope that this article was informative – if it was then why not share amongst your friends family and fellow home design fans? Why Use Project Management Services?